It’s been a rather chilly spring here in the UK and picnics have not been high on our list of fun things to do. However, the sun is now giving off some much needed warmth and suddenly we want to get outside and picnics are very much on the agenda. 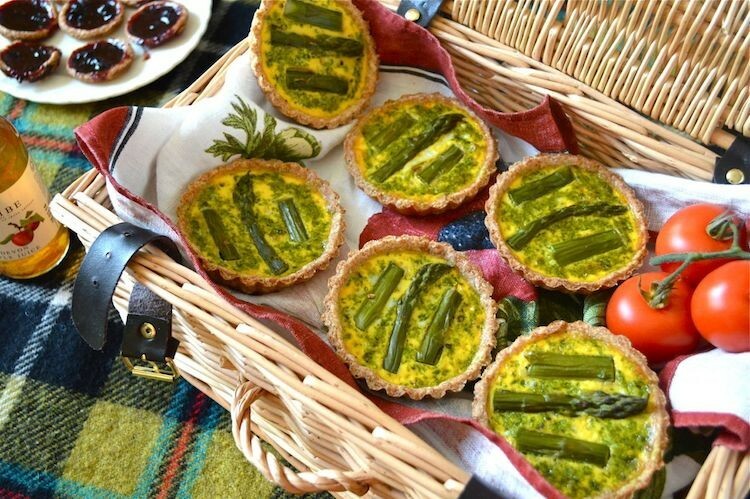 These seasonal asparagus tarts are ideal picnic fare as they are portable and easy to pick up and eat with your hands. Why asparagoose tarts? Read on. 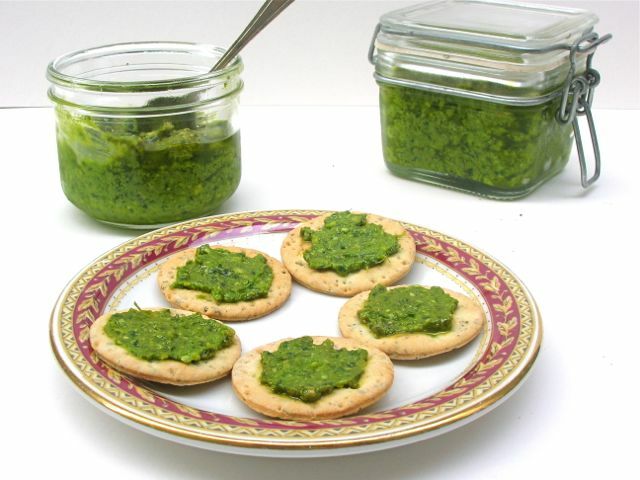 Since finally getting around to making wild garlic pesto this year, I can’t get enough of it. I’ve made three big batches and apart from some I’ve frozen, I’ve pretty much used it all up. 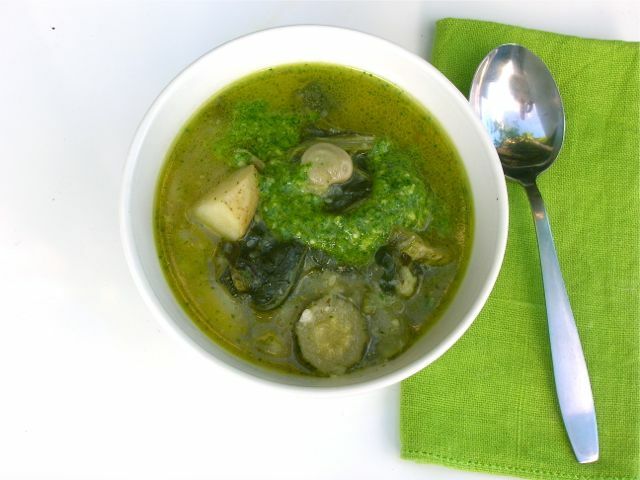 One of the things I’d had in my mind’s eye was scones with a swirl of green running through them; when I made my first batch of pesto I lost no time in making these swirly wild garlic cheese scones with it.